"Fans of TV's CSI: Crime Scene Investigation should be in heaven" (People) stepping into the world of forensic anthropologist Dr. Temperance Brennan, star of Kathy Reichs' electrifyingly authentic bestsellers. "Down time" is not a phrase in Tempe Brennan's vocabulary. A string of disturbing cases has put her vacation plans on hold; instead, she heads to the lab to analyze charred remains from a suspicious fire, and a mysterious black residue from a small plane crash. But most troubling of all are the bones. . . . Tempe's daughter's new boyfriend invites them to a picnic -- a pig pickin' -- in the North Carolina countryside, where a cache of bones turns up. But are they animal or human? X-rays and DNA may link the crimes, but they can't reveal who is closing in on Tempe and her daughter -- and how far they will go to keep her from uncovering the truth. Kathy Reichs is the author of nineteen New York Times bestselling novels and the coauthor, with her son, Brendan Reichs, of six novels for young adults. Like the protagonist of her Temperance Brennan series, Reichs is a forensic anthropologist—one of fewer than one hundred and fifteen ever certified by the American Board of Forensic Anthropology. A professor in the Department of Anthropology at the University of North Carolina at Charlotte, she is a former vice president of the American Academy of Forensic Sciences and serves on the National Police Services Advisory Council in Canada. 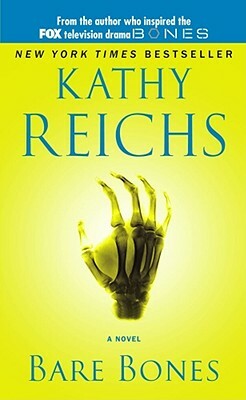 Reichs’s own life, as much as her novels, is the basis for the TV show Bones, one of the longest-running series in the history of the Fox network.